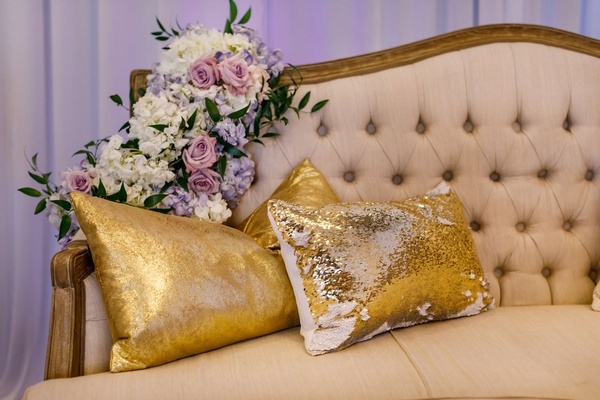 Incorporating springtime charm with regal hues, a team of vendors executed their desired theme “Once Upon a Springtime” for this Chicago styled shoot. 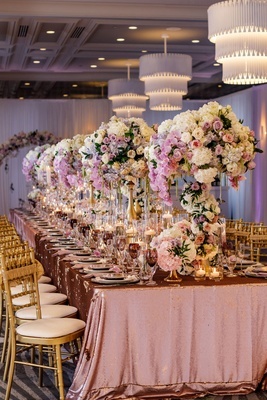 “We were inspired by springtime colors like purple, pinks, and included a mix of gold and silver,” confides Akeshi Akinseye of Kesh Events. 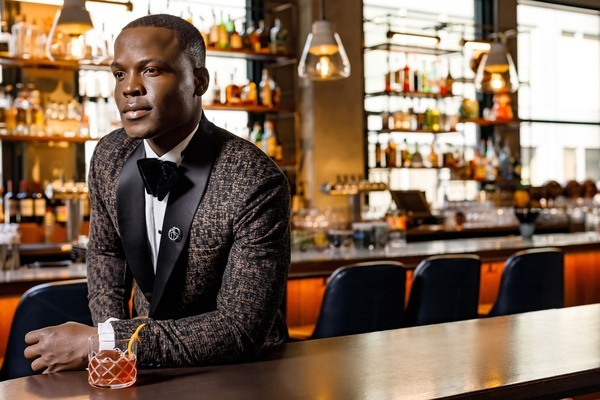 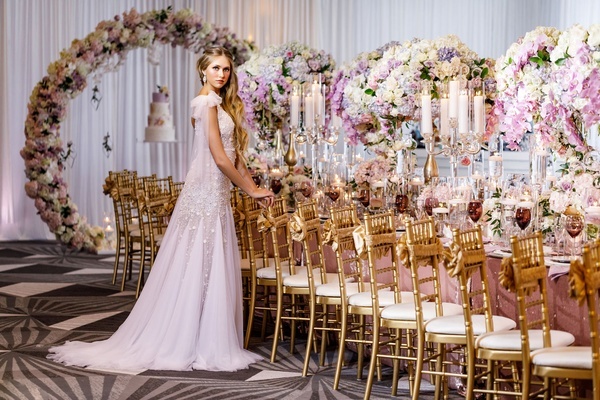 “For the couple, we went with a stylish design for the male and a thermal look for the – soft and flowy,” she adds of the ensembles worn by the bride – from Dimitra's Bridal Couture – and groom. 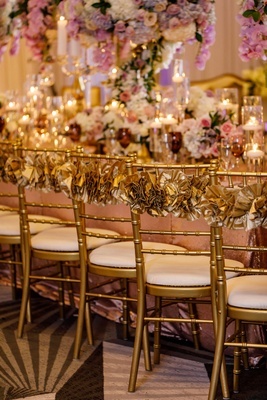 Amy Anaiz captured stunning photographs of the décor that truly embraced the season. 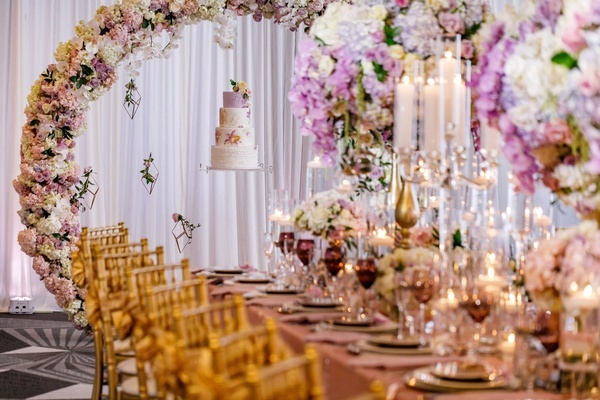 Although the colors were a key feature of the entire shoot, the abundance of blooms occupied the venue space for a genuine springtime ambience. 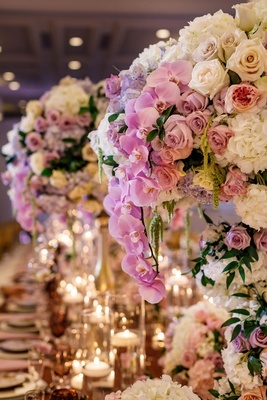 Three grand centerpieces adorned the banquet table and showcased a lovely array of pink, purple, and white blossoms that offset the glamour of the tinted chairs, linens by Nüage Designs, and tableware. 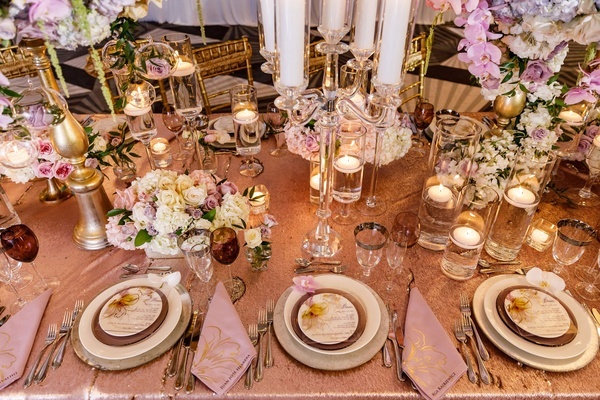 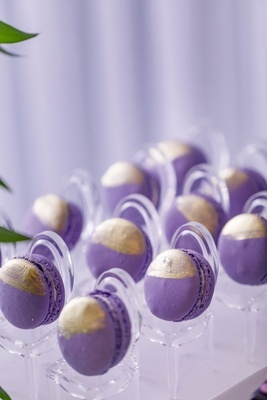 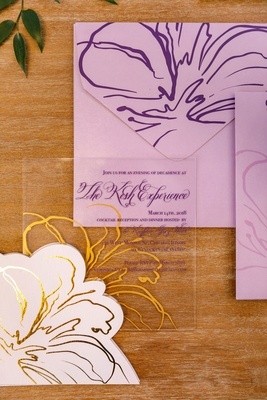 “The table was set using a mix of silver and gold accents, flowers and candles, [and] shimmery two-tone silver and purple linens were featured on the tables, and names were designed on the napkins in place of a place card,” Akeshi explains. 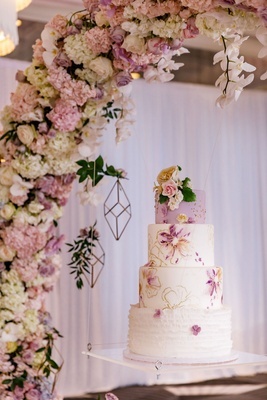 “The same floral patterns were used on the menus, dance floor, and cake for a cohesive feel and look.” The confection, which was placed beside the banquet table, stood beneath an enchanting floral arch with florals matching the centerpieces and other arrangements. 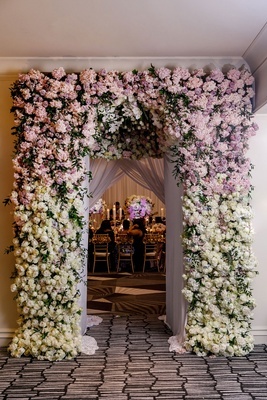 The soft-hued flowers also appeared in the gorgeous arch annexed to the entrance, where the model brides posed for lovely images. 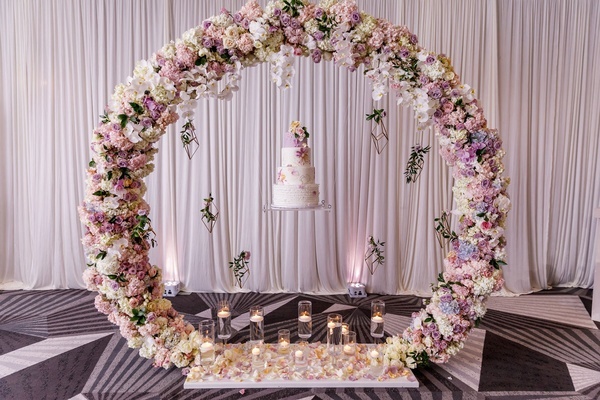 “For the entrance, we designed a grand floral entryway using white, pink, and purple roses, orchids, hanging tulips, hydrangeas and greenery,” shares the planner. 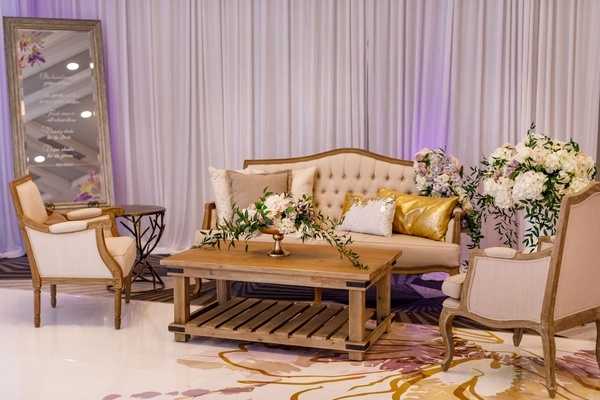 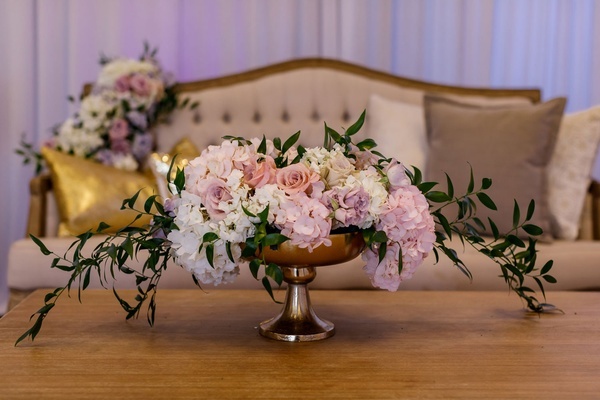 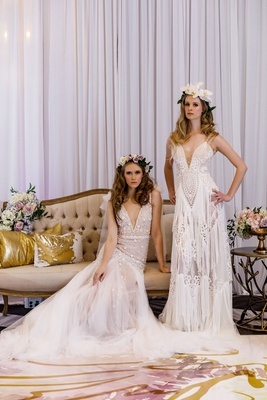 Other photo ops for the model brides included the lounge vignette, which showcased blooms and greenery beautifully cascading down the furniture. 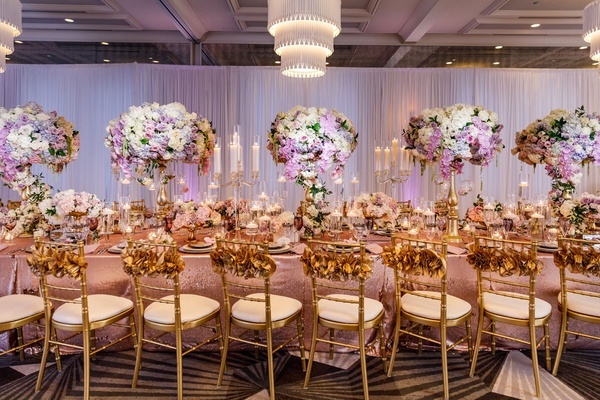 “Lounge sets were designed using floral accents on the chairs and floral arrangements on risers,” remembers Akeshi. 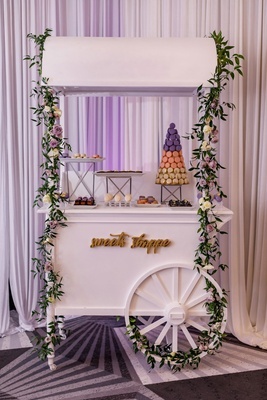 The event professionals also designed a chic dessert station with minimal florals and greenery on the sides. 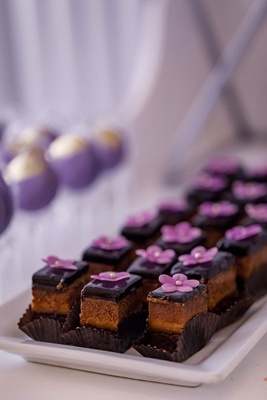 “A custom dessert cart was adorned with spring blooms and creative dessert displays,” Akeshi adds. 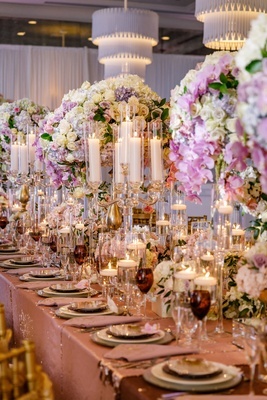 Every detail came together beautifully and showcased how springtime can actually be quite a glamorous season. 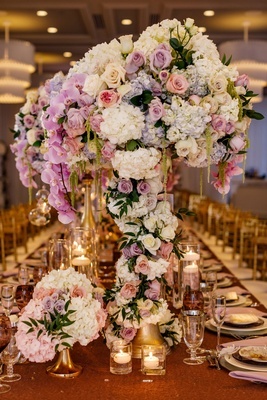 See the inspiring décor in the slideshow above!